This is something that I don’t get. 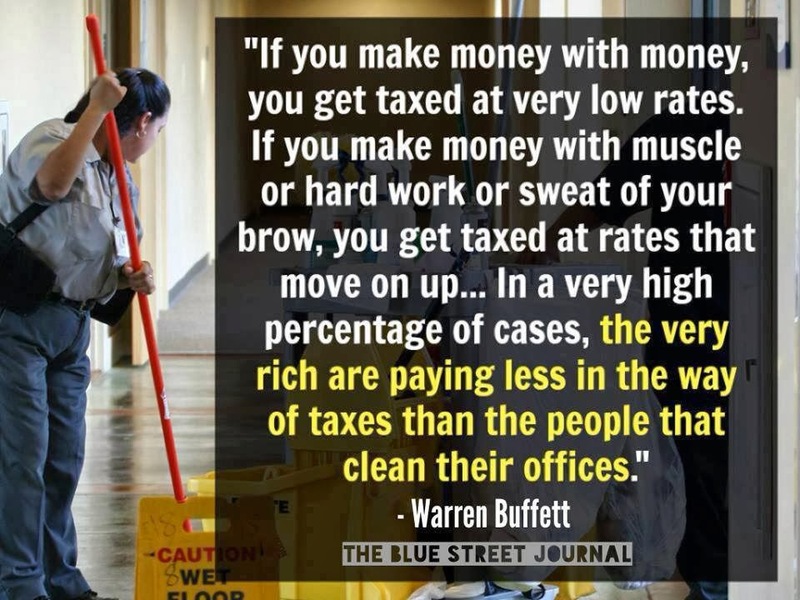 I don’t think it’s “punishment” for success when the wealthy pay higher taxes. I’m not sure how contributing more to the general advancement of society is a punishment. Part of the issue is that the wealthy tend to live in bubbles. Bubbles from which they rarely emerge. Their lack of contact with those in lower economic classes, according to various studies, means that they have a hard time feeling empathy for those less fortunate. In fact, some of the wealthy tend to look down on those without the same worldly assets — and insist that everything they have came to them because of hard work and virtue. Even those who have access to the privileges and opportunities that someone growing up poor wouldn’t even know about, much less have the ability to grasp, believe that they “deserve” what they have. And that means that “lazy freeloaders” shouldn’t receive much of it in the form of services provided by taxes. No matter how much screaming is done about the “47 percent” not paying federal income taxes, the reality is that the wealthy still benefit the most from tax breaks, and even those not paying federal income taxes are subject to other taxes. Additionally, it’s worth understanding that, once you consider effective tax rates, the wealthy aren’t being hammered as much as they seem to think they’re being hammered. During the last Presidential campaign, Mitt Romney said his effective tax rate was 15 percent. My effective tax rate is higher than that. Part of the reason for that is due to the fact that the wealthy “earn” most of their income from investments and tax-advantaged sources. So, even though their marginal rates might be higher, the effective tax rate is usually lower, thanks to tax breaks and the lower taxes paid on investment income with a favorable rate. Romney and many other wealthy folks often come from families of some means. (There’s nothing wrong with this, unless it comes with a propensity to look down on others.) They have money to invest. The working poor, and many of those in the lower- to middle- middle class, don’t have that luxury. They work just to survive, and feel lucky if they can set aside a little for savings. And many are scared of investing. One of the biggest rules of investing is don’t invest what you can’t afford to lose. When you’re living on the edge, it’s hard to get excited about risking your money like that. As a result, it’s hard to build wealth from meager savings. 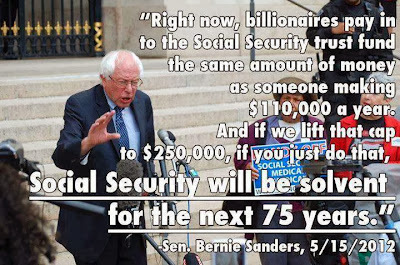 Plus, they have to pay taxes on earned income, and that income comes with Social Security tax, which represents one of the most regressive taxation processes. And don’t even get me started on the effective corporate tax rate. Big corporations are hardly suffering, no matter what the “official” tax rate is. 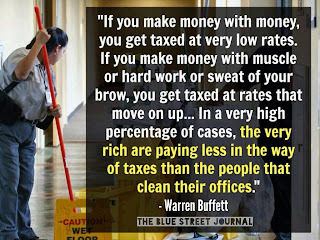 So, no, I don’t understand why we can’t raise taxes on the top 2 percent, or even the top 10 percent. The point in time that everyone remembers fondly as the greatest economic moment in our country, with a growing and thriving middle class, was marked by a much smaller pay gap between CEOs and workers, much higher tax rates on the wealthy, and a belief that the social safety net was important. And the best news? Higher tax rates on the wealthy probably won’t even hurt the economy. A move to tax the wealthy wouldn’t spell economic armageddon — although the growing wealth inequality in the country could. So, if you already have plenty, and then even more to spare, I’m not sure what the big deal is with a tax increase. I know it’s because I’m a thick-headed, crazy-stupid, bleeding heart liberal/progressive, but it just doesn’t make sense to me. I guess I’m the one who lacks empathy, since I don’t understand the plight of the top 10 percent. I agree that the system is broken. But be careful what you wish for. The same capital gain rate that the rich benefit from also helps the middle class retiree. A $1M stock portfolio yielding $30K in dividends can be their retirement income. But do away with the favorable cap gain rates and you’d be taxing the very people you’d prefer to help. SS is actually progressive. When I analyzed the numbers not long ago, a $30K earner was looking at a benefit that replaced 48% of their income, but a $60K earner, just 38% and at $90K, 30%. That $90K earner has paid in 3 times the dollars into the system but gets a return that’s not quite twice what the $30K earner gets. SS is a progressively higher burden as income rises. And then, when receiving benefits that put income above $32K for a retired couple, that benefit becomes taxable. The good thing is that none of us like the system and can find fault from every angle. There’s quite a few issues this article, I’ll just state the obvious issue and the crux of your argument. If higher taxes for more income you earn isn’t punishment then what is it? Be it on purpose, or accidental by taxing someone who makes more money you are in effect “punishing” them for making more money. It would be one thing that government was effective in their spending than if done via private sector. Do I have to show the many examples of this throughout history? The Obamacare web site cost is a recent and simple example of this. You are disincentivizing the rich to either make more, spend more, and in the end invest more. The traditional fallacy of progressives is that rich “horde” their money. Money is never idle unless it’s hidden in a mattress. Related to this fallacy that the pie is static. That central planners must somehow effectively divide this pie equally because it’s not “fair”. As if central planners are more noble and less greedy than the private sector counterparts. Yes there are quite a few reasons why this is the case. More importantly the effective rate doesn’t matter but the dollar amount paid. The government doesn’t get paid in percentages but in dollars. In one year Mitt has paid more in taxes than probably any of us will pay in our lifetime. Considering he’s worked for most of his life and now enjoying the fruits of his labor, why should it be taxed more??? Mitt’s tax rate was lower primarily because it wasn’t earned income, but income that was already earned and invested in passive incomes. Which means the dividends earned were once earned income and already paying twice for the same money. In addition, goes against your the issue assuming that the rich horde their money. Mitt had to pay that amount in taxes because it was invested in the economy. His money has helped others grow their businesses, pay salaries, and keep the economy growing. In addition, if you propose higher passive income rates what do you think would happen to investments? More importantly if did this how would it affect YOUR investments? While depending upon the changes done to the tax code some changes like you stated obviously won’t affect “the rich” that much there is always an action -> reaction to any changes. Like the recent CBO projections about Obamacare, there’s no free lunch to these proposed changes and it’s always those damned unintended consequences. Finally, nowhere in your article do you state how much more the rich should pay? And who are these “rich” individuals? Fact of the matter is if we taxed anyone who made over $1M 100% that would be just $616 B per year. Lets forget that individuals won’t modify their behavior if this occurred. Ironically increases in taxes on the “rich” almost always affect the 99.5% of the US population negatively, and not the 0.5% you have a beef with.